Directions: Muddle mint and raspberries. 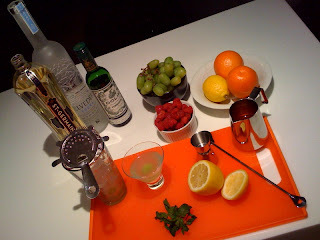 Add ice, St. Germain, and Belvedere and stir / shake. Strain into chilled martini glass and pour splash of dry sparkling wine on top of cocktail. Directions: over ice in an old fashioned glass add Belvedere, Aperol, St. Germain. 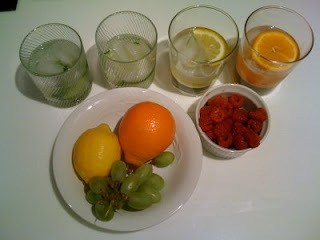 Top with grapefruit juice and garnish with orange slice. Directions: over ice in an old fashioned glass, add Belvedere, Earl Grey Tea, and St. Germain. Top with tonic water. Squeesh lemon slice and add to drink. Directions: over ice in an old fashioned glass, add cucumber slices, Belvedere, Manzanilla, and top with soda. Bruise cucumber slices to add extra cucumber flavor.